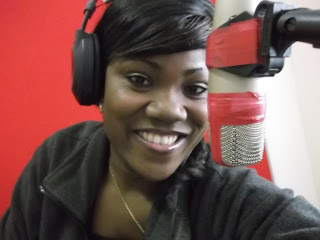 Journalist and Radio Presenter Linda is based in norwich norfolk uk,she has attended The Times Journalism Institute,College of Journalism in Nigeria,Pencil Films&Television Institute and also did a Traning Course on Presentation at the Federal Radio Co-operation of Nigeria and has a Degree in Peace and Conflict Resolution at the National Open University. Linda has been a Reporter at the Pm Newspaper Nigeria and also worked as a Self-Employed Conference Hostess Contracted to work for various Organisation,Hosting Conferences in Nigeria. She has just finished her training and workshop on film production and editing with the BBC VOICE NORFOLK, also just done THE LISTERNING PROJECT with THE BBC RADIO 4 AND BBC NORFOLK, uk. Presently She is working and volunteering at the Suffolk and Norfolk Youth action Radio,Producing and Presenting her own programme called Linda Cosgrove weekly Show.She has also been on the Harleston mercury paper in norfolk. Keep up the great work dear!! !